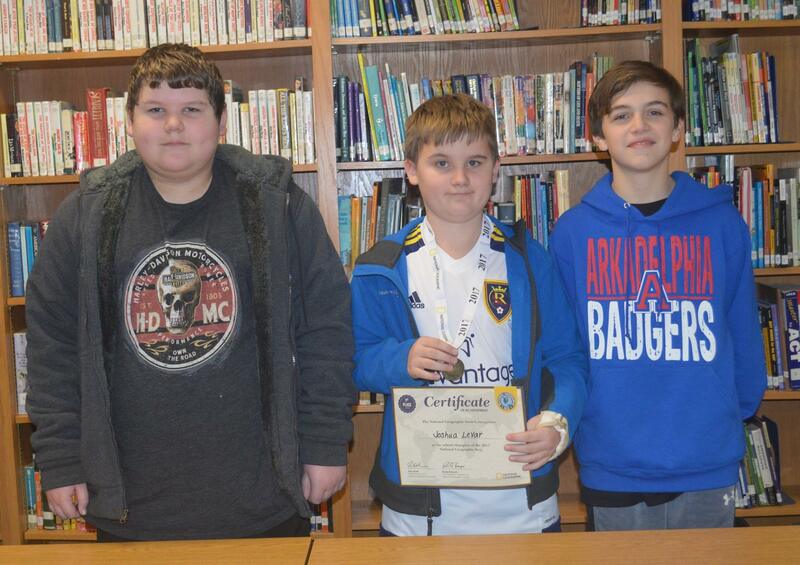 The 2017 Goza Middle School Geographic Bee took place Monday, Jan. 8. Ten students competed in the finals in the Goza Media Center. Joshua, a 7th grader, was crowned the school champion and will now take the exam to qualify for the Arkansas State Bee in April. 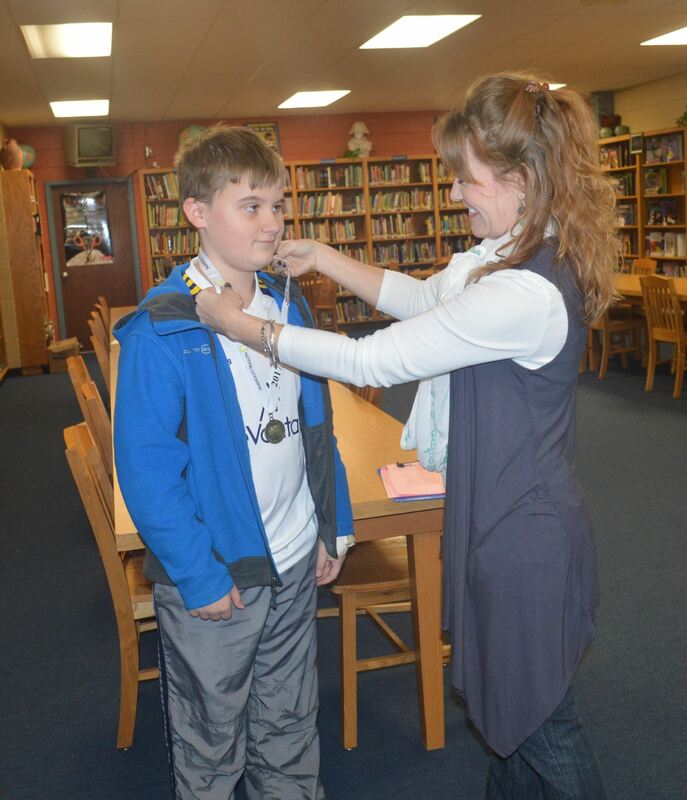 Second place honors went to 7th-grader Jarrett, and 3rd place honors went to 7th-grader Ayden. Other students earning finalist positions were: Landon, Benton, Takylia, Anna, Lori, Cameron, and Shahid. For the 29th year, the National Geographic Society is holding the National Geographic Bee for students in the fourth through eighth grades in thousands of schools across the United States and in the five U.S. territories, as well as in Department of Defense Dependents Schools around the world. 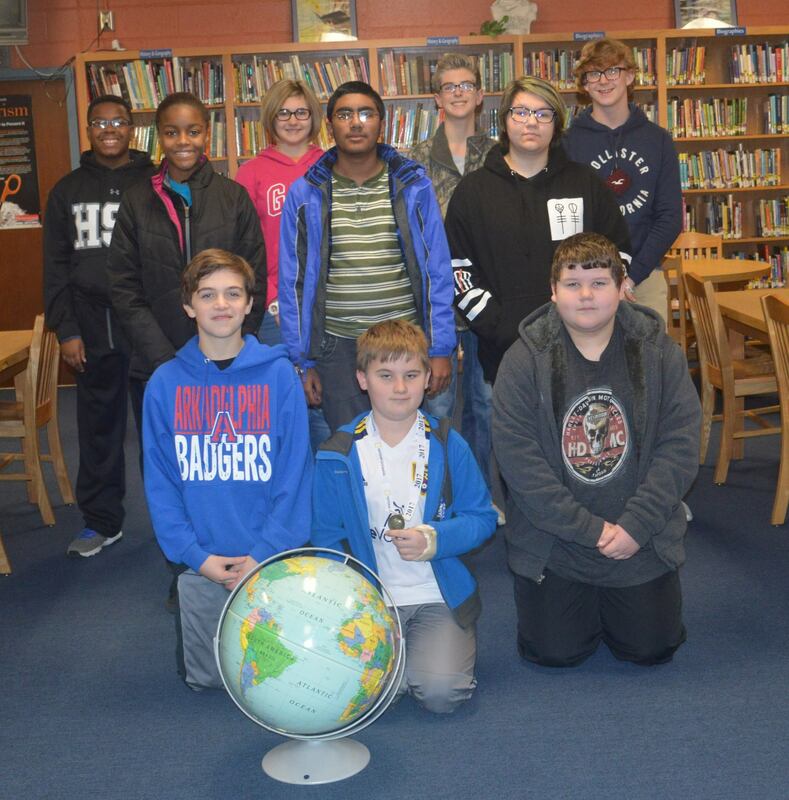 The champion of the Goza Middle School National Geographic Bee will advance to the next level of the competitions, a written examination to determine state competitors. All school champions are eligible to win the national championship and its first prize, a $50,000 college scholarship, at the national championship May 15-17, 2017, in Washington, D.C.